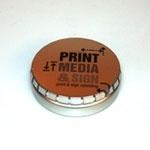 For two years now the Eindhoven Media School has been offering a sign course as part of its graphic arts curriculum. Next year, the third and final year will commence for students who want to add digital data preparation, working with formats and standards and the use of profiles to their manual instruction package. 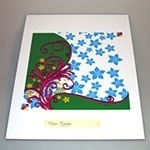 As their education progresses, students will also increasingly use Mimaki printers and cutting plotters. The Eindhoven School gives its students access to a wide range of equipment. 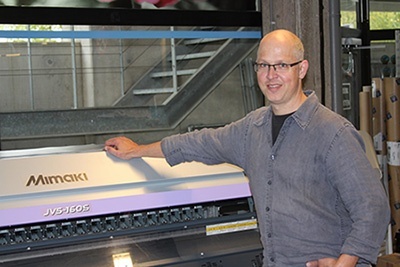 Mimaki's entry level JV33 tends to be used by students who are new to the course, whereas the feature packed JV5 is used by more experienced students. The range also includes cutting plotters and even a Mimaki UV flatbed printer, which is particularly popular because it can print directly on rigid materials and can print white and clear coat. At the start of the first year students are taught how to cut manually in combination with simple bonding techniques. After the first period the level rises steadily so that, by applying various techniques, students become familiar with more and more applications and gain a deeper understanding of the machines. The third and final year, which is currently developed, will contain 4 days of internship per week and, in the final stage, a so-called ‘master exam’ aimed at demonstrating the qualities of a successful sign maker. The emphasis on applications means that the Eindhoven school has strong ties with regional sign makers. “We feel that it is of vital importance that we continue to meet the needs of the companies that provide internships. That’s why we try to develop tailor made programmes and support in conjunction with these companies.